Data migration is the process of transferring data between storage types, formats, or computer systems. It is a key consideration for any system implementation, upgrade, or consolidation. Data migration is usually performed programmatically to achieve an automated migration, freeing up human resources from tedious tasks. Data migration occurs for a variety of reasons, including: Server or storage equipment replacements or upgrades; Website consolidation; Server maintenance; and Data center relocation. To achieve an effective data migration procedure, data on the old system is mapped to the new system providing a design for data extraction and data loading. The design relates old data formats to the new system's formats and requirements. Programmatic data migration may involve many phases but it minimally includes data extraction where data is read from the old system and data loading where data is written to the new system. 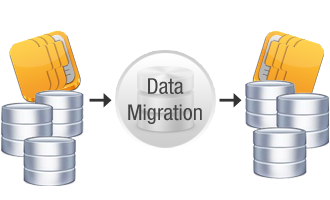 Softbase has professional experience using many ETL (Extract, transform and Load) tools for database migration. We work closely with our clients for design, extraction, cleansing, load and verification. We conduct weekly meetings to discuss the requirements and bi-weekly meetings to discuss the process of the project.